Mother’s Day can be an unwelcome time of year for a lot of people. If you’re estranged from your mother or don’t have a good relationship; if you are having difficulty with fertility; and of course, if you are grieving the loss of a mother or a child, or supporting children who have lost their mother, the seemingly constant reminders and celebrations of all things mum-related have the potential to cause great distress. Remember that whether you mark the day in some way, or spend it under the duvet is entirely up to you – try to avoid the pressure to “do something” if you don’t feel like it. Although in the run-up it can seem as though adverts and social media are full of reminders of what you are missing, remember that by 1st April it will be forgotten again for another year. If you choose to ignore or avoid Mother’s Day, consider watching less TV or fast-forwarding the adverts for a week or two before Mother’s Day. On the day itself, pubs and restaurants are likely to be full of celebratory families so you may wish to stay away from these environments. Maybe plan something to do that will take up your attention and keep you busy, such as exercising or gardening, doing something creative or spending time with friends who also aren’t celebrating Mother’s Day. If your mum has died, there’s no reason you shouldn’t remember her on Mother’s Day, if you’d like to. 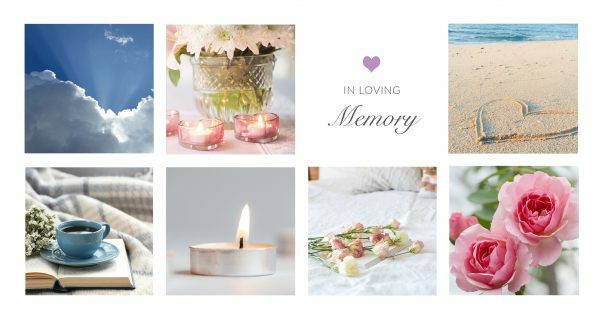 Some people like to visit a special place of remembrance; light a candle or plant a flower; write a letter or Mother’s Day card telling Mum your news and how you are feeling. Death ends a life, not a relationship, and it’s okay to still connect with her and remember her however you choose to. You may wish to surround yourself with others who are also grieving a loss or who also remember your loved one. It can be an opportunity to look at photographs, share happy memories, and yes, maybe to be sad and tearful, with some support around you from people who can empathise. Mother’s Day is about honouring a special role in most people’s lives, one that usually provides a special kind of comfort and support; but perhaps in your life, other people have taken that role. Perhaps it could be a good time to reach out to your dad or another family member with a token of appreciation for them, or maybe you could acknowledge friends who are mums and tell them you think they’re doing a great job. Sharing love and appreciation on this or any day doesn’t have to have limitations.